• Different-weight face inserts to fit golfers for their stroke tempo and feel preference. 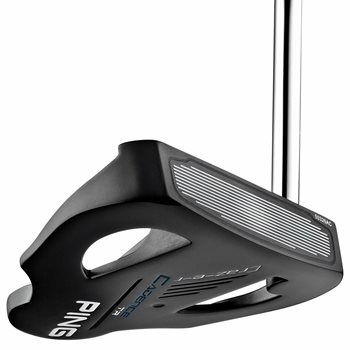 • Traditional-weight, or blue inserts typically fit mid-to-faster tempos, and Heavy black inserts match slower strokes. • True-Roll Technology grooves vary in width and depth to provide ball-speed consistency and accuracy on putts of any length. • Modern mallet clubhead with a single raise white sight line contrasting a full black clubhead.